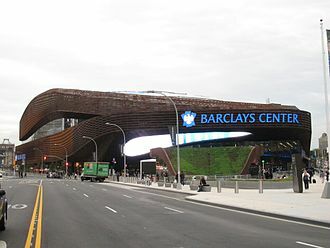 The 2014 NBA draft was held on June 26, 2014, at Barclays Center in Brooklyn. National Basketball Association (NBA) teams took turns selecting amateur U.S. college basketball players and other eligible players, including international players. The draft lottery took place on May 20, 2014. The Cleveland Cavaliers won the draft lottery to earn the first overall pick in the draft; this is the fourth number-one pick for Cleveland since 2003 and third number-one pick over a four-year span from 2011–2014. This draft would also be the first for the reborn Charlotte Hornets, who played as the Bobcats from 2004–2014, since 2001, when the original Charlotte Hornets last selected as the Charlotte Hornets before moving to New Orleans and eventually becoming the current New Orleans Pelicans. Television rights in the United States belonged to ESPN. It was tipped by many to be one of the deepest and most hyped draft classes in recent years, with several players touted as future stars. College underclassmen that were highly touted by NBA scouts and executives included: Andrew Wiggins, Jabari Parker, Joel Embiid, Aaron Gordon, Julius Randle, Zach LaVine, T. J. Warren, and Gary Harris. Other highly sought after talents included Australian player Dante Exum and Croatian player Dario Šarić, who both declared for the draft, and Doug McDermott, who was automatically eligible as a graduating college senior. Highlights from the draft included the first selections made by Adam Silver as commissioner and Mark Tatum as deputy commissioner, the second Canadian to be the first overall pick (Andrew Wiggins), the first pair of Canadian top 10 picks and second pair of Canadian lottery picks (Wiggins and Nik Stauskas), three top 20 Canadian selections (Wiggins, Stauskas, and Tyler Ennis), the first NBA Development League player to be selected in the first round (P. J. Hairston), the first time multiple NBA Development League players were selected in the same draft (Hairston and Thanasis Antetokounmpo), and the first Cape Verdean player to be selected in the draft (Walter Tavares). In addition, a standing ovation for Isaiah Austin occurred between the 15th and 16th picks of the draft, which included having the NBA itself hold a ceremonial pick to select him as a means of letting his dream of having his name be heard in the NBA draft come true, which happened days after he was diagnosed with Marfan syndrome and originally was never considered to play professional basketball again. Nearly two months after the draft ended, Andrew Wiggins was traded to the Minnesota Timberwolves as part of a three-team deal that brought Kevin Love to Cleveland; this resulted in the second time since the NBA–ABA merger that a first overall draft pick would not play a single game for the team that drafted him (the first time being the Orlando Magic drafted Chris Webber first overall in 1993 and then minutes later, traded Webber to the Golden State Warriors for Golden State's third overall pick in the 1993 Draft, Anfernee (Penny) Hardaway plus three of Golden State's future first-round draft selections). Andrew Wiggins was selected first overall by the Cleveland Cavaliers and was traded two months later to the Minnesota Timberwolves. Jabari Parker was selected second by the Milwaukee Bucks. 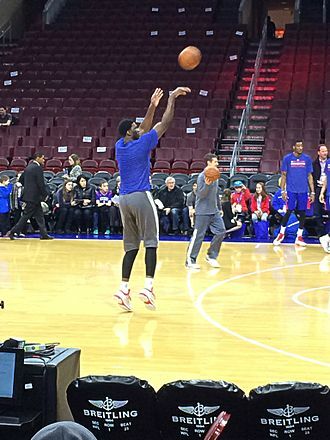 Joel Embiid was selected third by the Philadelphia 76ers. Aaron Gordon was selected fourth by the Orlando Magic. 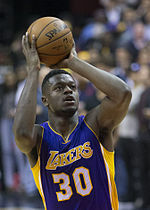 Julius Randle was selected seventh by the Los Angeles Lakers. 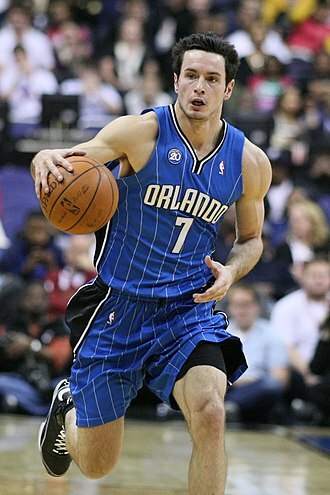 Dario Šarić was selected 12th by the Orlando Magic and traded to the Philadelphia 76ers. Zach LaVine was selected 13th by the Minnesota Timberwolves. T. J. Warren (left) was selected 14th by the Phoenix Suns. Nikola Jokić was selected 41st by the Denver Nuggets. Jordan Clarkson was selected 46th overall by the Washington Wizards and then traded to the Los Angeles Lakers. James Michael McAdoo went undrafted but went on to win two NBA championships with the Golden State Warriors. These eligible players were not selected in the 2014 NBA draft but have played at least one game in the NBA. In April 2015, the undrafted Sim Bhullar became the first player of Indian descent to play in the league. The draft is conducted under the eligibility rules established in the league's new 2011 collective bargaining agreement (CBA) with its players union. The CBA that ended the 2011 lockout instituted no immediate changes to the draft, but called for a committee of owners and players to discuss future changes. As of 2014[update], the basic eligibility rules for the draft are listed below. All drafted players must be at least 19 years old during the calendar year of the draft. In terms of dates, players eligible for the 2014 draft must be born on or before December 31, 1995. Any player who is not an "international player", as defined in the CBA, must be at least one year removed from the graduation of his high school class. The CBA defines "international players" as players who permanently resided outside the United States for three years prior to the draft, did not complete high school in the U.S., and have never enrolled at a U.S. college or university. This year, a total of 45 collegiate players and 30 international players declared as early entry candidates. On June 16, the withdrawal deadline, 18 early entry candidates withdrew from the draft, leaving 44 collegiate players and 13 international players as the early entry candidates for the draft. They have completed 4 years of their college eligibility. If they graduated from high school in the U.S., but did not enroll in a U.S. college or university, four years have passed since their high school class graduated. They have signed a contract with a professional basketball team outside of the NBA, anywhere in the world, and have played under that contract. They are least 22 years old during the calendar year of the draft. In terms of dates, players born on or before December 31, 1992, are automatically eligible for the 2014 draft. They have signed a contract with a professional basketball team outside of the NBA within the United States, and have played under that contract. Before the draft, the NBA released a list of D-League players who are automatically eligible for the draft. The invitation-only NBA Draft Combine occurred in Chicago from May 14 to 18. 60 players were invited. The 2014 D-League Elite Mini Camp, which included 37 players, occurred in Chicago in the two days preceding the combine. The first 14 picks in the draft belong to teams that had missed the playoffs; the order was determined through a lottery. The lottery determined the three teams that would obtain the first three picks on the draft. The remaining first-round picks and the second-round picks were assigned to teams in reverse order of their win-loss record in the previous season. As it is commonplace in the event of identical win-loss records, the NBA performed a random drawing to break the ties on April 18, 2014. The lottery was held on May 20, 2014, at the Times Square Studios in New York City. The Cleveland Cavaliers, who had the ninth-worst record, won the lottery with just a 1.7% chance to win the first pick. It was the second year in a row the Cavaliers won the lottery, as well as their third time in four years. It also tied the Chicago Bulls ascension in the 2008 NBA draft for the second largest upset ever and the largest upset in the current lottery system that started in 1994. The Milwaukee Bucks, who had the worst record and the highest chance to win the lottery at 25%, obtained the second pick. 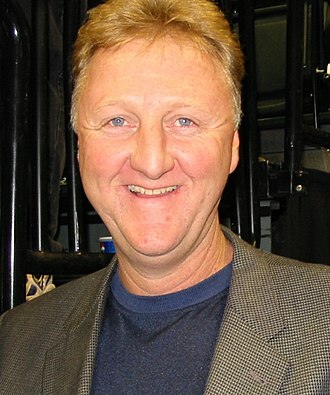 The lottery completed with the Philadelphia 76ers, who had the second-worst record, obtaining the third pick. In the first round of the draft, each team has five minutes to decide which player they would like to select. During the five minutes, the team can also propose a trade with another team before making their final selection. The NBA commissioner then announce the selection and the player, wearing a basketball cap sporting the team's logo, comes up to the stage to be congratulated and presented to the audience. In the second round, each team has two minutes to make their picks while the deputy commissioner assumes the commissioner's role. The NBA annually invites around 10–15 players to sit in the so-called "green room", a special room set aside at the draft site for the invited players to sit with their families and agents. When their names are called, the player leaves the room and goes up on stage. Other players who are not invited, are allowed to attend the ceremony, sit in the stands with the fans and walk up on stage when they're drafted. This year, however, the league decided to invite 21 players to the green room. The 20 players who were invited and attended the draft are Tyler Ennis, Dante Exum, Aaron Gordon, Gary Harris, Rodney Hood, Zach LaVine, Doug McDermott, Shabazz Napier, Jusuf Nurkić, Jabari Parker, Adreian Payne, Elfrid Payton, Julius Randle, Dario Šarić, Marcus Smart, Nik Stauskas, Noah Vonleh, T. J. Warren, Andrew Wiggins and James Young. Joel Embiid was invited, but he was unable to attend the draft due to an injury sustained before the draft and its subsequent surgery that prevented him from traveling to New York. Out of the 21 players invited, 19 players were selected in the top 19. The other two, Hood and Napier, were selected 23rd and 24th respectively. In addition to the above, former Baylor player Isaiah Austin, who had declared for the draft but was forced to end his playing career after being diagnosed with Marfan syndrome during a physical for the draft, was invited to attend as a special guest of commissioner Adam Silver. During the draft, he was ceremonially drafted by the league between the 15th and the 16th picks and came up to the stage sporting a generic NBA cap. Prior to the day of the draft, the following trades were made and resulted in exchanges of draft picks between the teams. The following trades involving drafted players were made on the day of the draft. ^ a b c Nationality indicates the player's national team or representative nationality. If a player has not competed at the international level, then the nationality indicates the national team which the player is eligible to represent according to FIBA rules. ^ a b Dante Exum attended the Australian Institute of Sport in conjunction with attending and playing high school basketball for Lake Ginninderra Secondary College until January 2014. ^ a b Dario Šarić played for Cibona Zagreb during the 2013–14 season, but was signed by Anadolu Efes (Turkey) on June 24, 2014. ^ Shabazz Napier was born in the United States to a Puerto Rican mother. He has committed to represent Puerto Rico internationally since 2012, although he is yet to play for Puerto Rico. ^ a b Damien Inglis was born in French Guiana, an overseas departments and territories of France that is located on South America. He has represented France internationally at youth level since 2010. ^ Effective in 2016, the NCAA changed its withdrawal date to 10 days after the end of the annual NBA Draft Combine held in mid-May. ^ Also in 2016, the NCAA changed its draft declaration rules to allow players to declare for and withdraw from more than one draft without losing college eligibility, as long as they make a timely withdrawal without signing a professional contract outside the NBA or hiring an agent. ^ About a week before the draft, Isaiah Austin was diagnosed with Marfan syndrome, a genetic disorder that affects connective tissue. Because the condition frequently has serious and life-threatening effects on the heart and circulatory system, Austin was advised to end his playing career. ^ Although Chane Behanan is listed as being from Colorado State, he never played for that school. He was dismissed from Louisville during the holiday break between the fall 2013 and spring 2014 academic terms. After leaving Louisville, Behanan enrolled in classes at Colorado State with hopes of playing there in 2014–15, but instead chose to enter the draft. ^ P. J. Hairston played collegiately for North Carolina but was suspended for the 2013–14 season and later left college basketball to play professionally. Although he met the criteria for automatic eligibility for the draft, the NBA still considered him as an early-entrant college underclassman and allowed him to withdraw from the draft. "2014 Draft Board". NBA. Retrieved April 24, 2015. "2014 NBA Draft". ESPN.com. Retrieved April 24, 2015. "2014 NBA Draft". basketball-reference.com. Retrieved April 24, 2015. ^ "2013–14 National Basketball Association Important Dates". NBA.com. Archived from the original on December 17, 2013. Retrieved November 6, 2013. 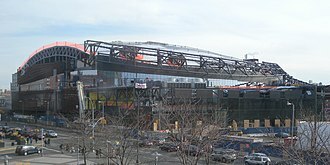 ^ "NBA Draft will be held at Barclays Center again". netsdaily.com/. April 25, 2014. ^ "2014 NBA Draft Order". Archived from the original on August 10, 2014. Retrieved June 24, 2014. ^ "2014 NBA Draft Coverage". ESPN. ESPN. Retrieved November 9, 2013. ^ "2014 NBA Big Board: Wiggins leads deepest draft in years". Sports Illustrated. September 26, 2013. Retrieved February 17, 2014. 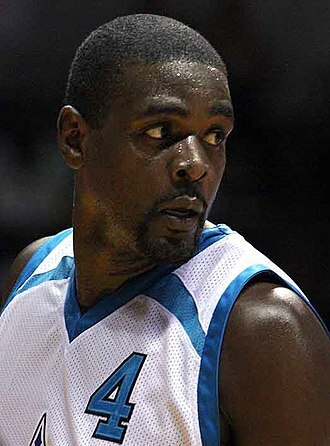 ^ "Bobcats Acquire Ben Gordon, Future First-Round Pick From Pistons". NBA.com. June 26, 2012. Retrieved May 30, 2014. ^ Bonnell, Rick (May 20, 2014). "Charlotte Hornets get ninth pick in NBA lottery". The Charlotte Observer. Retrieved May 29, 2014. ^ "Sixers Acquire Rights to Nerlens Noel and a 2014 First-round Pick in Trade With New Orleans". NBA.com. July 12, 2013. Retrieved May 30, 2014. ^ Reid, John (May 20, 2014). "New Orleans Pelicans unable to beat NBA lottery odds, surrender first-round pick to Philadelphia". The Times Picayune. Retrieved May 29, 2014. ^ "Sixers Acquire Joel Embiid, Dario Saric in the First Round of the 2014 NBA Draft". NBA.com. June 27, 2014. Retrieved August 23, 2014. ^ Fluck, Adam (June 26, 2014). "Bulls acquire McDermott via draft night trade". NBA.com. Retrieved August 23, 2014. ^ "Nuggets acquire five players, three picks in three-team trade". NBA.com. February 22, 2012. Retrieved May 30, 2014. ^ "Knicks Acquire Four-Time All-Star Carmelo Anthony". NBA.com. February 22, 2011. Retrieved May 22, 2015. 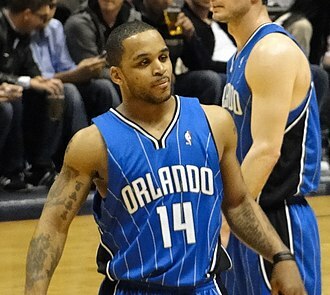 ^ "Magic Acquire Six Players, Five Draft Picks in Howard Trade". NBA.com. August 10, 2012. Retrieved May 30, 2014. ^ Begley, Ian (May 20, 2014). "Knicks miss out on 12th pick". ESPN.com. Retrieved May 29, 2014. ^ "Bulls receive Murray and Law for Thomas". NBA.com. February 18, 2010. Retrieved May 30, 2014. ^ Strotman, Mark (January 6, 2014). "Bulls may be closing in on Bobcats' first-round pick". NBA.com. Retrieved June 1, 2014. ^ "Celtics Complete Trade With Brooklyn Nets". NBA.com. July 12, 2013. Retrieved May 30, 2014. ^ "Suns Acquire Okafor, First-Round Pick". NBA.com. October 25, 2013. Retrieved May 30, 2014. ^ "Lakers Acquire First Round Draft Pick from Dallas in Exchange for Lamar Odom & Second Round Draft Pick". NBA.com. December 11, 2011. Retrieved May 30, 2014. ^ "Rockets Make Pair Of Deadline Deals". NBA.com. March 15, 2012. Retrieved May 30, 2014. ^ "Thunder Acquires Martin, Lamb and Multiple Draft Picks from Rockets". NBA.com. October 27, 2012. Retrieved May 30, 2014. ^ "Jazz Acquires Biedrins, Jefferson, Rush and Five Future Draft Picks in Three-Team Trade". NBA.com. July 10, 2013. Retrieved May 30, 2014. ^ "UConn's Shabazz Napier has surgery". ESPN.com. September 10, 2012. Retrieved August 9, 2014. ^ "Napier: "It will be an honor"". FIBA Americas. April 7, 2014. Retrieved August 9, 2014. ^ "Przybilla, Cunningham, Marks, 2 First Round Picks Acquired from Portland". NBA.com. February 24, 2011. Retrieved May 30, 2014. ^ "Heat Acquires Shabazz Napier in the 2014 NBA Draft". NBA.com. June 27, 2014. Retrieved August 23, 2014. ^ "Suns Make Important Trade for Future". NBA.com. July 27, 2013. Retrieved May 30, 2014. ^ "France Defeat Germany in U16 Warm-Ups". FIBA Europe. June 23, 2010. Retrieved July 14, 2015. ^ "Cavaliers Select Irving and Thompson with First and Fourth Overall Picks in The 2011 NBA Draft". NBA.com. June 24, 2011. Retrieved June 1, 2014. ^ "Celtics Acquire Olynyk, Iverson". NBA.com. June 28, 2013. Retrieved June 1, 2014. 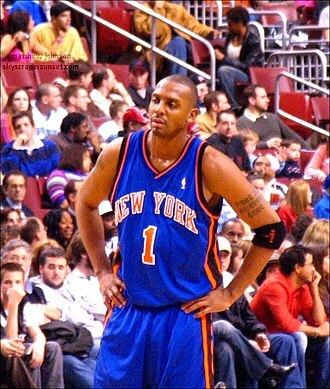 ^ "Knicks Acquire Calderon, Three Others in Dallas Trade". NBA.com. June 25, 2014. Retrieved June 26, 2014. ^ "Grizzlies acquire draft rights to Jarnell Stokes". NBA.com. June 26, 2014. Retrieved August 24, 2014. ^ "Suns Sign Gordon to Offer Sheet, Trade Nash". NBA.com. July 11, 2012. Retrieved June 1, 2014. ^ "Wolves Trade Wes Johnson To Phoenix". NBA.com. July 27, 2012. Retrieved June 1, 2014. ^ "Bucks Acquire Luke Ridnour in a Three Team Deal". NBA.com. July 11, 2013. Retrieved June 1, 2014. ^ "Raptors Deal James Johnson To Kings". NBA.com. July 16, 2012. Retrieved June 1, 2014. ^ "Sixers Acquire Two Second-Round Picks in 2014 NBA Draft From Cleveland Cavaliers". NBA.com. February 20, 2014. Retrieved June 1, 2014. ^ "Wolves Acquire Antonio Daniels from New Orleans". NBA.com. September 9, 2009. Retrieved June 1, 2014. ^ "Rockets Make Trades Official". NBA.com. July 11, 2012. Retrieved June 4, 2014. ^ "Heat Trades Michael Beasley". NBA.com. July 12, 2010. Retrieved June 4, 2014. ^ "Wolves Complete Five Draft-Night Trades". NBA.com. June 24, 2011. Retrieved June 4, 2014. ^ "Lakers Acquire Draft Rights to Jordan Clarkson". NBA.com. June 26, 2014. Retrieved August 24, 2014. ^ "Celtics Acquire Draft Rights to Johnson". NBA.com. June 23, 2011. Retrieved June 4, 2014. ^ "Mavericks officially secure rights to Ricky Ledo in trade with 76ers". The Dallas Morning News. June 28, 2013. Retrieved June 4, 2014. ^ "Pelicans Acquire Draft Rights to Russ Smith in 2014 NBA Draft". NBA.com. June 27, 2014. Retrieved August 24, 2014. ^ "Suns Acquire Haddadi, Second-Round Pick". NBA.com. February 21, 2013. Retrieved June 4, 2014. ^ "Bucks Aquire Two Second-Round Draft Picks". NBA.com. July 10, 2013. Retrieved June 4, 2014. ^ "Hawks Trade To Get Lamar Patterson". NBA.com. June 27, 2014. Retrieved August 24, 2014. ^ "Cavaliers Acquire Pargo and 2014 Second Round Pick From Grizzlies". NBA.com. July 25, 2012. Retrieved June 6, 2014. ^ "Muhammad Embraces Move To Timberwolves". NBA.com. June 27, 2013. Retrieved June 6, 2014. ^ "Draft Haul Includes Capela, Johnson and Gentile". NBA.com. June 26, 2014. Retrieved August 24, 2014. ^ "Center Samuel Dalembert and 14th Draft Pick Highlight Trade with Rockets". NBA.com. June 27, 2012. Retrieved June 6, 2014. ^ "Bucks Acquire Draft Rights to Nate Wolters". NBA.com. June 27, 2013. Retrieved June 6, 2014. ^ "San Antonio selects Kyle Anderson in 2014 NBA draft; acquire rights to Nemanja Dangubic from 76ers". NBA.com. June 27, 2014. Retrieved August 24, 2014. ^ "Sixers Acquire Draft Rights To Jordan McRae From San Antonio Spurs". NBA.com. June 27, 2014. Retrieved August 24, 2014. ^ "Thunder Acquires Mitch McGary, Josh Huestis and Draft Rights to Semaj Christon in the 2014 Draft". NBA.com. June 27, 2014. Retrieved August 24, 2014. ^ "Nuggets acquire Andre Miller, Jordan Hamilton, future pick". NBA.com. June 24, 2011. Retrieved June 6, 2014. ^ "Trail Blazers Acquire Guards Raymond Felton, Nolan Smith And Jon Diebler In 2011 NBA Draft". NBA.com. June 24, 2011. Retrieved June 6, 2014. ^ "Magic Trade Afflalo; Acquire Fournier and Marble". NBA.com. June 26, 2014. Retrieved June 26, 2014. ^ "Knicks Pick Early, Antetokounmpo in 2014 Draft". NBA.com. June 27, 2014. Retrieved August 24, 2014. ^ "Clippers Acquire Bobby Brown From New Orleans in Exchange for 2014 Conditional Second Round Pick". NBA.com. January 26, 2010. Retrieved June 6, 2014. ^ "Spurs Trade Jerrells To New Orleans". NBA.com. October 18, 2010. Retrieved June 6, 2014. ^ "Knicks Trade Brewer To OKC, Acquire 2nd Round Pick". NBA.com. February 21, 2013. Retrieved June 6, 2014. ^ "Raptors Acquire Three Players, Three Picks From Knicks". NBA.com. July 10, 2013. Archived from the original on October 6, 2014. Retrieved June 6, 2014. ^ "Raptors Select Bruno Caboclo In First Round Of NBA Draft". NBA.com. June 27, 2014. Retrieved August 23, 2014. ^ Zillgit, Jeff (December 7, 2011). "Hunter's memo to players details NBA CBA". USA Today. Retrieved December 12, 2011. ^ a b "Article X, Section 1(b)(i)". 2005 NBA Collective Bargaining Agreement. National Basketball Players Association. Archived from the original on February 27, 2008. Retrieved April 17, 2008. ^ "Article X, Section 1(c)". 2005 NBA Collective Bargaining Agreement. National Basketball Players Association. Archived from the original on August 1, 2009. Retrieved April 17, 2008. ^ a b "Article X, Section 8(c)". 2005 NBA Collective Bargaining Agreement. National Basketball Players Association. Archived from the original on October 12, 2008. ^ a b "Bylaw 12.2.4.2.1.1 Exception—Basketball—Four-Year College Student-Athlete, Men's Basketball" (PDF). 2010–11 NCAA Division I Manual. National Collegiate Athletic Association. p. 72. Retrieved February 2, 2011. ^ a b Goodman, Jeff (January 13, 2016). "College players given extra time to mull NBA draft decision". ESPN.com. Retrieved January 13, 2016. ^ "Bylaw 12.3.1 Use of Agents" (PDF). 2010–11 NCAA Division I Manual. NCAA. p. 73. Retrieved February 2, 2011. ^ "NBA announces early entry candidates for 2014 NBA Draft". NBA.com. April 30, 2014. Retrieved June 29, 2014. ^ "2014 NBA Draft Early Entries". ESPN.com. April 30, 2014. Retrieved June 29, 2014. ^ a b c d "Eighteen early entry candidates withdraw from 2014 NBA Draft". NBA.com. June 17, 2014. Retrieved June 29, 2014. ^ Blakely, A. Sherrod (April 30, 2014). "75 early entry candidates announced for 2014 NBA Draft". CSN New England. Retrieved June 29, 2014. ^ "Isaiah Austin has Marfan syndrome". ESPN.com. June 22, 2014. Retrieved June 22, 2014. ^ Stephens, Matt L. (April 29, 2014). "Behanan entering NBA draft a move CSU was planning for". The Coloradoan. Retrieved June 29, 2014. ^ Holmes, Baxter (June 17, 2014). "Dante Exum is an X factor from Australia". The Boston Globe. Retrieved June 28, 2014. ^ "Anadolu Efes inks rising star Saric". Euroleague Basketball. June 24, 2014. Retrieved June 28, 2014. ^ a b c "Six NBA D-League Alumni Eligible for 2014 NBA Draft Presented by State Farm". NBA.com. April 30, 2014. Retrieved June 29, 2014. ^ Sorensen, Tom (June 4, 2014). "Former Tar Heel P.J. Hairston auditions for Charlotte Hornets". Charlotte Observer. Retrieved June 29, 2014. ^ "Article X, Section 1(b)(ii)". 2005 NBA Collective Bargaining Agreement. National Basketball Players Association. Archived from the original on February 27, 2008. Retrieved April 17, 2008. ^ "Article X, Section 1(b)(ii)(G)(1)". 2005 NBA Collective Bargaining Agreement. National Basketball Players Association. Archived from the original on February 27, 2008. Retrieved April 17, 2008. ^ "Article X, Section 1(b)(ii)(G)(2)". 2005 NBA Collective Bargaining Agreement. National Basketball Players Association. Archived from the original on February 27, 2008. Retrieved April 17, 2008. ^ Norlander, Matt (2014-05-12). "Official 2014 NBA pre-draft combine invite list". CBS Sports. Retrieved 2015-04-28. ^ Kotloff, Brian (2014-05-13). "2014 NBA D-League Elite Mini Camp: Day 2 Recap: Director Bob MacKinnon offers his take on the prospects who are set for a big summer". NBA.com. Retrieved 2015-04-28. ^ a b "Ties broken for NBA Draft 2014 order of selection". NBA.com. April 18, 2014. Retrieved May 29, 2014. ^ "2014 NBA Draft Order". NBA.com. May 20, 2014. Retrieved May 29, 2014. ^ a b "Cavs continue lottery luck, get No. 1 pick again". NBA.com. May 20, 2014. Retrieved May 29, 2014. ^ "What You Need To Know About The NBA Draft Lottery". NBA.com. May 20, 2014. Retrieved May 29, 2014. ^ Branson, Scott (June 27, 2014). "NBA draft 2014 reaction: What they're saying around the league". Cleveland.com. Retrieved June 28, 2014. ^ Jackson, Scoop (June 27, 2014). "Parker realizes that just happened". ESPN.com. Retrieved June 28, 2014. ^ "The History of Nets Draft Caps". NBA.com. Retrieved June 28, 2014. ^ Geagan, Matthew (June 27, 2014). "NBA Draft LIVE Blog: No Fireworks For Celtics". CBS Boston. Retrieved June 28, 2014. ^ "NBA draft 2014: Adam Silver shines with selection of Isaiah Austin". The Oregonian. June 27, 2014. Retrieved June 28, 2014. ^ Golliver, Ben (June 25, 2012). "Davis, Beal headline 14 players reportedly invited to 2012 NBA Draft Green Room". CBSSports.com. Retrieved June 28, 2014. ^ Ford, Chad (June 18, 2011). "NBA issues 'green room' invitations". ESPN.com. Retrieved June 28, 2014. ^ Pollakoff, Brett (June 22, 2014). "A list of 2014 NBA Draft Green Room invites". NBCSports.com. Retrieved June 28, 2014. ^ Golliver, Ben (June 23, 2014). "Twenty prospects receive 2014 NBA draft green room invitations". Sports Illustrated. Retrieved June 28, 2014. ^ Goodman, Jeff (June 20, 2014). "Joel Embiid has fractured foot". ESPN.com. Retrieved June 28, 2014. ^ Herbert, James (June 23, 2014). "Adam Silver invites Isaiah Austin to attend draft". CBSSports.com. Retrieved June 28, 2014. ^ "NBA selects Isaiah Austin in draft". NBA.com. June 27, 2014. Retrieved June 28, 2014. ^ "2014 Draft Trade Tracker". NBA. June 27, 2014. Retrieved June 27, 2014. Located 570 kilometres off the coast of West Africa, the islands cover a combined area of slightly over 4,000 square kilometres. The Cape Verde archipelago was uninhabited until the 15th century, when Portuguese explorers discovered and colonized the islands, ideally located for the Atlantic slave trade, the islands grew prosperous throughout the 16th and 17th centuries, attracting merchants and pirates. The end of slavery in the 19th century led to economic decline, Cape Verde gradually recovered as an important commercial center and stopover for shipping routes. Incorporated as a department of Portugal in 1951, the islands continued to agitate for independence. Since the early 1990s, Cape Verde has been a representative democracy. Lacking natural resources, its economy is mostly service-oriented, with a growing focus on tourism. Its population of around 512,000 is mostly of mixed European and sub-Saharan African heritage, a sizeable diaspora community exists across the world, slightly outnumbering inhabitants on the islands. Historically, the name Cape Verde has been used in English for the archipelago and, since independence in 1975, for the country. 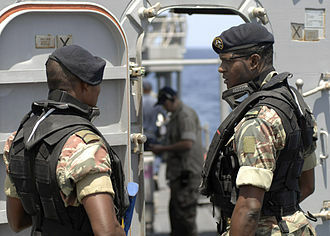 In 2013, the Cape Verdean government determined that the Portuguese designation Cabo Verde would henceforth be used for official purposes, such as at the United Nations, Cape Verde is a member of the African Union. The name of the stems from the nearby Cap-Vert, on the Senegalese coast. 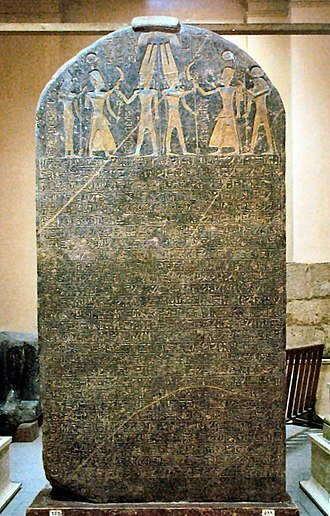 In 1444 Portuguese explorers had named that landmark as Cabo Verde, on 24 October 2013, the countrys delegation announced at the United Nations that the official name should no longer be translated into other languages. Instead of Cape Verde, the designation Republic of Cabo Verde is to be used, before the arrival of Europeans, the Cape Verde Islands were uninhabited. The islands of the Cape Verde archipelago were discovered by Genoese and Portuguese navigators around 1456, according to Portuguese official records, the first discoveries were made by Genoa-born António de Noli, who was afterwards appointed governor of Cape Verde by Portuguese King Afonso V.
The Milwaukee Bucks are an American professional basketball franchise based in Milwaukee, Wisconsin. The Bucks compete in the National Basketball Association as a club of the leagues Eastern Conference Central Division. The team was founded in 1968 as a team. The team is valued at $675 million according to Forbes. The Bucks have won one title, two conference titles, and 13 division titles. On January 22,1968, the NBA awarded a franchise to Milwaukee Professional Sports and Services, Inc. a group headed by Wesley Pavalon, a fan contest was held to name the new team, with over 40,000 fans participating. One fan, R. D. Trebilcox, was awarded a new car for his part in reasoning why the Bucks was a nickname, saying that bucks were spirited, good jumpers, fast. In October, the Bucks played their first NBA regular-season game against the Chicago Bulls before a Milwaukee Arena crowd of 8,467, as is typical with expansion teams, the Bucks first season was a struggle. Their first victory came in their game as the Bucks beat the Detroit Pistons 134–118. The Bucks record that earned them a coin flip against their expansion cousins. It was a conclusion that the first pick in the draft would be Lew Alcindor of UCLA. The Bucks won the flip, but had to win a bidding war with the upstart American Basketball Association to secure him. Despite the Bucks stroke of fortune in landing Alcindor, no one expected what happened in 1969–70 and they finished with a 56–26 record – a nearly exact reversal of the previous year and good enough for the second-best record in the league, behind the New York Knicks. The 29-game improvement was the best in league history – a record which would stand for 10 years until the Boston Celtics jumped from 29 wins in 1978–79 to 61 in 1979–80. 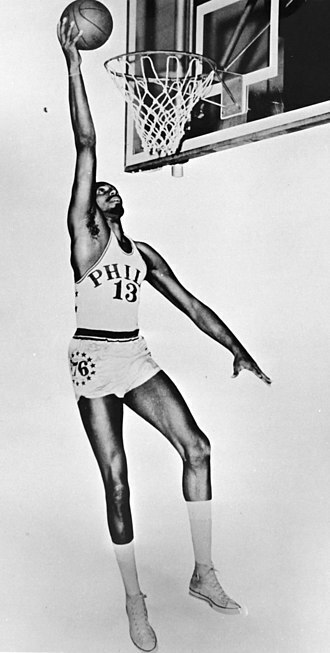 The Bucks defeated the Philadelphia 76ers in five games in the Eastern semifinals, Alcindor was a runaway selection for NBA Rookie of the Year. The following season, the Bucks got a gift when they acquired Oscar Robertson, known as the Big O. Subsequently, in only their season, the Bucks finished 66–16 – the second-most wins in NBA history at the time. The Orlando Magic is an American professional basketball team based in Orlando, Florida. The Magic compete in the National Basketball Association as a club of the leagues Eastern Conference Southeast Division. 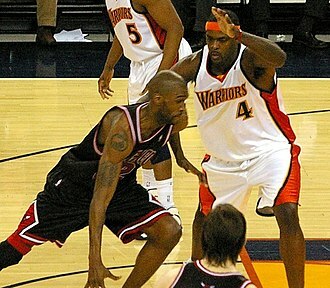 The franchise has played in the NBA playoffs for more than half of its existence. Orlando has been the second most successful of the four expansion teams brought into the league in 1988 and 1989 in terms of winning percentage, after fellow Floridian team Miami Heat. In September 1985, Orlando businessman Jim L. Hewitt approached Philadelphia 76ers general manager Pat Williams as they met in Texas on his idea of bringing an NBA team to Orlando. Intrigued by the project, Williams signed on as the front man of the investment group one year as he left the 76ers, on June 19,1986, the two held a news conference to announce their intention of seeking an NBA franchise. At the same time Hewitt and Williams decided to hold a contest in the Orlando Sentinel newspaper to get names for their new franchise. Out of a total of 4,296 submitted entries, the names were subsequently narrowed to four, Tropics, the last one, which had been submitted by 11 people, was picked after Williams brought his 7-year-old daughter Karyn to visit in Orlando. On July 27,1986, it was announced that the committee chose the Magic to be the new name of the Orlando franchise in the NBA, the name Magic alludes to the citys biggest tourist attraction and economic engine Walt Disney World, along with its Magic Kingdom. Hewitt added that You look at all the aspects of Central Florida, and you find it really is an exciting place, a magical place. Many, including Williams himself at first, thought that Miami or Tampa were better locations in Florida for a franchise, given Orlando was a small town lacking a major airport and a suitable arena. Meanwhile, Williams gave presentations to NBA commissioner David Stern and the owners of the teams of the league that the town was viable. The Magic were one of the four new expansion franchises awarded by the NBA in 1987 along with the Charlotte Hornets, Miami Heat, the Magic became the first ever major-league professional sports franchise in the Orlando area, following an expansion fee of reportedly $32.5 million. The 2013 NBA draft was held on June 27,2013, at Barclays Center in Brooklyn, New York. National Basketball Association teams took turns selecting amateur U. S. college basketball players and other eligible players, the lottery took place on May 21,2013. This was the first draft for New Orleans under their new Pelicans name after playing as the New Orleans Hornets previously. The selection of Anthony Bennett very much surprised Bill Simmons, who was an analyst at the draft and he was replaced by current commissioner Adam Silver beginning with the 2014 NBA draft. These players were not selected in the 2013 NBA draft but have played at least one game in the NBA, the draft is conducted under the eligibility rules established in the leagues new 2011 collective bargaining agreement with its players union. The CBA that ended the 2011 lockout instituted no immediate changes to the draft, as of 2012, the basic eligibility rules for the draft are listed below. All drafted players must be at least 19 years old during the year of the draft. In terms of dates, players eligible for the 2013 draft must be born on or before December 31,1994. Any player who is not a player, as defined in the CBA. Player who are not automatically eligible must declare their eligibility for the draft by notifying the NBA offices in writing no than 60 days before the draft, for the 2013 draft, this date fell on April 28. Under NCAA rules, players only have until April 16 to withdraw from the draft. A player who has hired an agent will forfeit his college eligibility. Also, while the CBA allows a player to withdraw from the draft twice, forty-five college players declared for the draft. Fifteen players who did not attend college in the US or Canada between the ages of 18 and 22 declared for the draft. Players who do not meet the criteria for players are automatically eligible if they meet any of the following criteria. If they graduated high school in the U. S. but did not enroll in a U. S. college or university. They have signed a contract with a basketball team outside of the NBA, anywhere in the world. Adam Silver is an American lawyer and the commissioner of the National Basketball Association. He has held this post since February 1,2014, Silver was born into a Jewish-American family north of New York City in the suburb of Rye in Westchester County. At an early age, Silver was a New York Knicks fan and he graduated from Rye High School, and from Duke University in 1984. He worked as an aide for U. S. Congressman Les AuCoin from 1984 to 1985 and he earned a law degree from the University of Chicago in 1988. Before joining the NBA, he served as an associate at Cravath, Swaine & Moore. Silver worked as a law clerk to Judge Kimba Wood, prior to becoming commissioner, Silver served as NBA Deputy Commissioner and Chief Operating Officer for eight years. Before serving as the leagues second-in-command, Silver spent more than eight years as President and COO, since joining the NBA in 1992, Silver has held the positions of Senior VP & COO, NBA Entertainment, NBA Chief of Staff, and Special Assistant to the Commissioner. Brooklyn is the most populous borough of New York City, with a Census-estimated 2,636,735 residents in 2015. It borders the borough of Queens at the end of Long Island. Today, if New York City dissolved, Brooklyn would rank as the third-most populous city in the U. S. behind Los Angeles, the borough continues, however, to maintain a distinct culture. Many Brooklyn neighborhoods are ethnic enclaves, Brooklyns official motto, displayed on the Borough seal and flag, is Eendraght Maeckt Maght which translates from early modern Dutch as Unity makes strength. Since 2010, Brooklyn has evolved into a hub of entrepreneurship and high technology startup firms. The history of European settlement in Brooklyn spans more than 350 years, the neighborhood of Marine Park was home to North Americas first tidal mill. It was built by the Dutch, and the foundation can be seen today, the area was not formally settled as a town. Many incidents and documents relating to this period are in Gabriel Furmans early compilation, what is today Brooklyn left Dutch hands after the final English conquest of New Netherland in 1664, a prelude to the Second Anglo–Dutch War. The English reorganized the six old Dutch towns on southwestern Long Island as Kings County on November 1,1683 and this tract of land was recognized as a political entity for the first time, and the municipal groundwork was laid for a expansive idea of Brooklyn identity. On August 27,1776 was fought the Battle of Long Island, the first major engagement fought in the American Revolutionary War after independence was declared, and the largest of the entire conflict. British troops forced Continental Army troops under George Washington off the heights near the sites of Green-Wood Cemetery, Prospect Park. 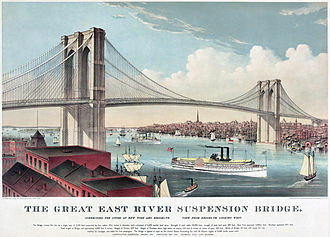 The fortified American positions at Brooklyn Heights consequently became untenable and were evacuated a few days later, One result of the Treaty of Paris in 1783 was the evacuation of the British from New York City, celebrated by residents into the 20th century. The New York Navy Yard operated in Wallabout Bay for the entire 19th century, the first center of urbanization sprang up in the Town of Brooklyn, directly across from Lower Manhattan, which saw the incorporation of the Village of Brooklyn in 1817. Jabari Ali Parker is an American professional basketball player for the Milwaukee Bucks of the National Basketball Association. He was taken with the second pick in the 2014 NBA draft. He ended his career after one season of playing for Duke University. In his freshman year for the 2013–14 Duke Blue Devils, he was named a consensus first-team All-American, the USBWA National Freshman of the Year, Parker is the son of former NBA player, Sonny Parker. Parkers family has lived on Chicagos South Side since before Jabari was born, Parkers father, has served hundreds of Chicago metropolitan area children as youth foundation director since 1990. Parker discovered basketball in one of his fathers many leagues, although his father has never coached one of his teams, by second grade his basketball skills were superior to those of the fifth-graders he played with, and he competed in middle school leagues as a fifth grader. He credits his cousin Jay Parker who grew up with him for pushing him to be going back to when Jabari was in third grade. Sometimes and Christian played basketball all through the night at the church, Jabari actually made the eighth-grade team as a fourth-grader, but could not play until fifth grade for insurance reasons. In fifth grade, he had five Division I scholarship offers as a 6-foot guard, in sixth grade, when he stood at 6 feet 2 inches, he visited Simeon for a day and scrimmaged with Derrick Rose. Parker has two sisters who had attended Simeon. However, he has claimed that the reason he chose Simeon was due to his perception of the likelihood that he could achieve success on the basketball court. During the summer after finishing school, he received an National Basketball Players Association Top 100 Camp invitation. By this time, he stood at 6 feet 4 inches, Parker was the first freshman to start on the Simeon varsity team in school history. Over the course of the season, he contributed 19.3 points per game,5.0 rebounds per game and 3.0 assists per game and he earned the ESPN HS2010 Freshman of the Year. Danté Exum is an Australian professional basketball player for the Utah Jazz of the National Basketball Association. He was considered one of the best prospects for the 2014 NBA draft prior to graduating high school in 2013. 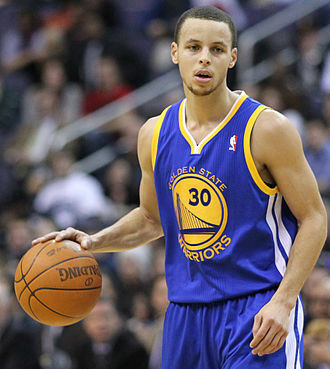 He chose to bypass college and was selected by the Utah Jazz with the fifth overall pick in the 2014 draft. Exum was born in the Melbourne suburb of East Melbourne to American parents and he played for the Keilor Basketball Association as a junior and attended Lake Ginninderra Secondary College in Canberra where, in conjunction with, attended the Australian Institute of Sport. Along with basketball, he grew up playing Australian rules football, in April 2013, Exum participated in the Nike Hoop Summit for the World Select Team, where he recorded 16 points, three rebounds and two assists in a 112–98 win over the USA Junior Select Team. In October 2013, he graduated from Lake Ginninderra and had the option to enroll in college and play basketball during the 2013–14 season. Exum competed for Lake Ginninderra in the Australian National High School Basketball Championships in December 2013, on 28 January 2014, it was announced that Exum signed with agents from Landmark Sports and that he would declare for the 2014 NBA draft. On 26 June 2014, Exum was selected by the Utah Jazz with the fifth pick in the 2014 NBA draft. On 11 July 2014, he signed his rookie contract with the Jazz. The following day marked the start of the Utah Jazz Summer League and he made his NBA debut in the Jazzs season opener on 29 October 2014, recording five points, one assist and one steal in 9½ minutes of action in a 104–93 loss to the Houston Rockets. Three days later, he scored 10 points on 3-of-4 shooting from beyond the arc in a 118–91 win over the Phoenix Suns, on 22 January 2015, he had a season-best game with 15 points and five assists in a 101–99 win over the Milwaukee Bucks. On 1 April 2015, he had a career-high 12 assists in a 98–84 win over the Denver Nuggets and he appeared in all 82 games as a rookie and averaged 4.8 points,1.6 rebounds and 2.4 assists in 22.2 minutes. The Minnesota Timberwolves are an American professional basketball team based in Minneapolis, Minnesota. The Timberwolves compete in the National Basketball Association, as a club of the leagues Western Conference Northwest Division. Founded in 1989, the team is owned by Glen Taylor, the Timberwolves play their home games at Target Center, their home since 1990. Despite losing in the first round in their first seven attempts, Garnett was named the NBA Most Valuable Player Award for that season. The team has been in rebuilding mode for the past decade since missing the playoffs in 2005, Garnett returned to the Timberwolves in a February 2015 trade and finished his career there, retiring in the 2016 offseason. NBA basketball returned to the Twin Cities in 1989 for the first time since the Minneapolis Lakers departed for Los Angeles in 1960. The NBA had granted one of its four new teams on April 22,1987 to original owners Harvey Ratner. The franchise conducted a name the team contest and eventually selected two finalists and Polars, in December 1986, the team asked the 842 city councils in Minnesota to select the winner and Timberwolves prevailed by nearly 2-1. The team was named the Minnesota Timberwolves on January 23,1987. Minnesota is home to the largest population of timberwolves in the lower 48 states, the Timberwolves debuted on November 3,1989, losing to the Seattle SuperSonics on the road 106–94. Five days later, they made their debut at the Hubert H. Humphrey Metrodome. 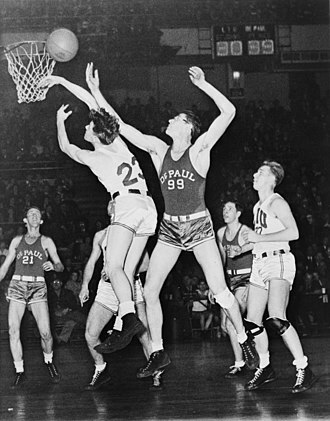 Two nights on November 10, the Wolves got their first win, the Timberwolves, led by Tony Campbell with 23.2 ppg, went on to a 22–60 record, finishing in sixth place in the Midwest Division. 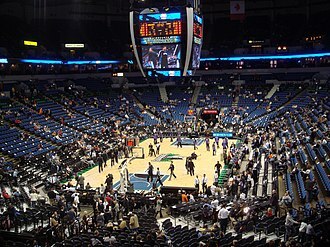 Playing in the Hubert H. Humphrey Metrodome, the expansion Timberwolves set an NBA record by drawing over 1 million fans to their home games. This included a crowd of 49,551 on April 17,1990, the next season, the team moved into their permanent home, the Target Center, and improved somewhat, finishing 29–53. However, they fired their coach, Bill Musselman. They fared far worse in the 1991–92 NBA season under Musselmans successor, ex-Celtics coach Jimmy Rodgers, finishing with an NBA-worst 15–67 record. The New Orleans Pelicans are an American professional basketball team based in New Orleans. The Pelicans compete in the National Basketball Association as a club of the leagues Western Conference Southwest Division. The team plays their games in the Smoothie King Center. The Pelicans were established as the New Orleans Hornets in the 2002–03 season when then-owner of the Charlotte Hornets, George Shinn, relocated the franchise to New Orleans. Due to the damage caused by Hurricane Katrina in 2005, the franchise relocated to Oklahoma City. 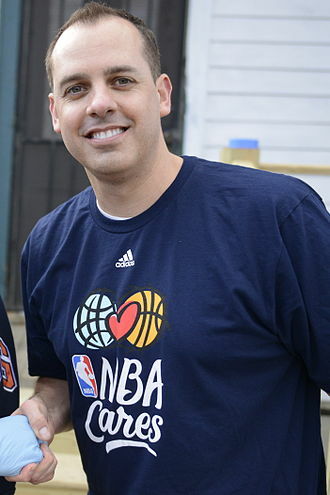 The team returned to New Orleans full-time for the 2007–08 season, on January 24,2013, the franchise announced it would rename itself the Pelicans, effective after the conclusion of the 2012–13 season. Their achievements include one playoff victory and one division title. While the Charlotte Hornets put a team on the court throughout the 1990s. Many attributed this lapse in popularity to the owner, George Shinn. In 1997, a Charlotte woman claimed that Shinn had raped her, the consensus was that while Charlotte was as basketball-crazy as ever, fans took out their anger at Shinn on the team. On March 26,2001, both the Hornets and the Vancouver Grizzlies applied for relocation to Memphis, which was won by the Grizzlies. Shinn issued an ultimatum, unless the city built a new arena at no cost to him, the city initially refused, leading Shinn to consider moving the team to either Norfolk, Louisville, or St. Louis. Polls showed the referendum on its way to passage, just days before the referendum, Mayor Pat McCrory vetoed a living wage ordinance. The veto prompted many of the citys black ministers to oppose the referendum, while even the NBA acknowledged that Shinn had alienated fans, league officials felt such a demand would anger other owners. Before the Hornets were eliminated from the playoffs, the NBA approved the move, as part of a deal, the NBA promised that Charlotte would get a new team, which took the court two years as the Charlotte Bobcats. He said if he had it to do all over again. Shinn emphasized how he was making amends by committing to New Orleans saying, im not going to make one here. 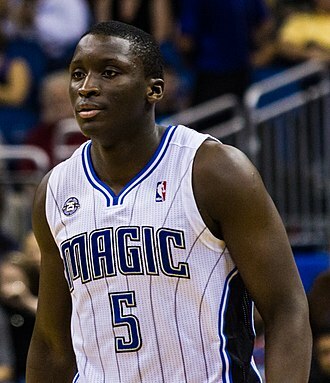 Victor Oladipo was selected second by the Orlando Magic. Kentavious Caldwell-Pope was selected eighth by the Detroit Pistons. C. J. McCollum was selected tenth by the Portland Trailblazers. Michael Carter-Williams was selected 11th by the Philadelphia 76ers. Karl-Anthony Towns was selected first overall by the Minnesota Timberwolves. D'Angelo Russell was selected second by the Los Angeles Lakers. Kristaps Porziņģis was selected fourth by the New York Knicks. Myles Turner was selected eleventh by the Indiana Pacers. 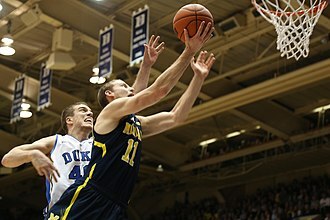 Stauskas drives against Marshall Plumlee. Kevin Garnett played for the Timberwolves from 1995 to 2007 before returning in 2015. Kevin Love became the fifth Timberwolves player to be named NBA All-Star. Kevin Garnett's first game back with the Timberwolves in 2015. Joe Fulks was the league's first scoring champion. Wilt Chamberlain averaged 41.5 points per game and 25.1 rebounds per game during his five and a half seasons with the Warriors. Nate Thurmond averaged over 20 points per game during five different seasons and over 20 rebounds per game during two seasons while with the Warriors. Rick Barry (shown in 1976) was named the NBA Finals MVP in 1975. 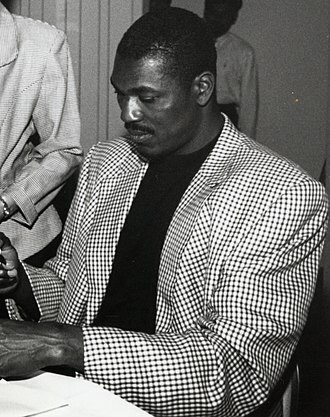 Michael Jordan won the award in the 1984–85 NBA season. The Bobcats versus the Dallas Mavericks on November 11, 2005. Michael Jordan acquired the Bobcats in 2010. Gordon was MVP of the 2013 McDonald's All-American Boys Game.